You saw technology evolve from room-sized computers to handheld and were so fascinated by it that you decided to make a career in mobile app development. You stepped into the industry and managed to get a job. A few years later you realize that there is a complete shift in mobile app development methods due to technologies like cloud computing and the internet of things (IoT). Now, you have to go back to the drawing board and get accustomed to mobile app development in the age of the internet of things and cloud computing. Do you want to know how IoT and cloud computing will change the way mobile applications will be created? If yes, then you are at the right place. In this article, you will learn about how IoT and cloud computing will transform mobile app development completely. Gone are the days when people were reluctant to store data on the cloud because they used to consider it vulnerable to security attacks. Things have changed as cloud providers are now employing encryption and advanced security measures to ensure that your data stays safe from prying eyes. Due to this, user perception about cloud has changed to a certain degree and more and more people are willing to use cloud platforms, to not only store data but also to host websites. With smartphones requiring access to backend apps, it is critical to maintain security. You can also implement centralized security in cloud. Another advantage of better security is that you can deliver more enterprise apps to business users. The use of advanced password protection and encryption has made cloud a reliable platform for mobile apps as data sent and received can stay safe. As more and more apps trickle into enterprise space, it is important for app developers to offers support for multiple devices with different attributes. That is where app development with MEAPs comes into play. What is MEAPs? MEAPs stands for Mobile Enterprise Application Platform. It simplifies support for mobile application and help mobile app developers to harness the power of cloud computing. All leading mobile app development companies are using MEAP as it is one of the most popular IoT tool for mobile app development. In fact, it is basically a suite of comprehensive services and tools that enables app developers to create hybrid cross device mobile application with ease. Additionally, MEAPs platform make sure that data from mobile cloud is delivered seamlessly and ensures that it fits perfectly across different devices with varying screen sizes. You can easily find mobile app developers who develop apps for Android and iOS platforms because they are two of the most popular mobile operating systems. Would you find a mobile app developer who creates apps for IoT devices? You will be hard pressed to find one. Due to this, the demand for mobile app developers who know how to develop apps for IoT devices will skyrocket in years to come. So, if you are planning to make a career in mobile app development, it is highly recommended that you master the art of creating mobile apps for IoT devices. We will see new job roles being created for IoT based app developers in coming months. What this will do is that it will convert the app development industry into a niche market. As apps for IoT devices go mainstream, you will more and more applications for these devices. It will open new doors and led to new discoveries. Users are looking for a personalized experience and that is where niche IoT apps will come into play, offering a unique experience while fulfilling the need of the users. Don’t be surprised to see app developers creating mobile applications for specific purpose and to cater to user demands. Hybrid apps combine the best of both worlds into a single package. With both worlds, I am referring to HTML5 and native app development. Although, it is a relatively new concept but it is quickly gaining acceptance among app development circles as more and more app developer’s shifts towards hybrid app development. Mobile app developers can take full advantage of hardware capabilities of the device they are creating an app for just like they can in native app development. Additionally, they can also benefit from the architectural attributes of HTML5 app development. By combining these qualities, mobile app developers can create hybrid apps that are not only good to look at but also function like a charm. These apps are basically web apps encapsulated into the native container which uses the power of the cloud for data transmission and can run on most user interfaces and platforms on a mobile embedded browser. One of the biggest advantages with hybrid apps is that you don’t have to write the same code again and again for different mobile operating systems as mobile app developers can reuse a major part of their code and add platform-specific code to create winning hybrid mobile applications. Mobile app development has gone through a paradigm shift on several occasions, but it will be more radical this time around. Prepare yourself for the changes to come and you will become a successful mobile app developer. 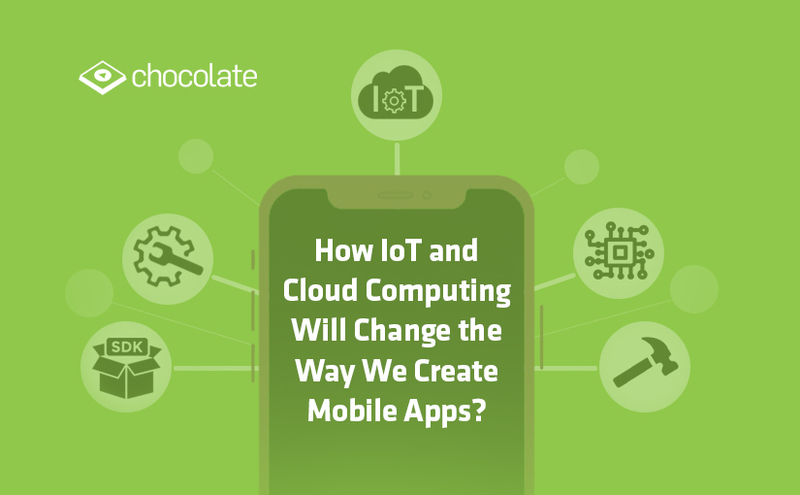 What do you think, how will internet of things (IoT) and cloud computing change the way we create mobile apps? Feel free to share your thoughts with us by commenting below. 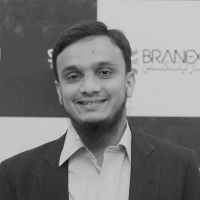 Zubair Hassan is a digital marketing professional working at Branex, a Dubai based web design agency offering mobile app development services. He knows his job as he works on minute details of marketing campaigns to make it a definite success. He delves deep in to the strategies before creating a campaign so that his clients taste sure-shot success.